No Hold That Ghost Shame! Sharing with my girls. My 6yo ran through the Abbott and Costello Meet… movies and when she wanted to watch another from A&C I knew I had one more up my sleeve to satisfy some of those Hooptober requirements. Hold that Ghost had her doing Lou Costello impressions for at least another week. I take great pride when she assaults adults with her cries of “OH, CHUCK!! OH, CHUCK! !” and shames then when they don’t know Hold That Ghost. I’m raising my own Old Movie Weirdo. She’s hoping to become a card-carrying member by age 8. You’ve got to have goals and she’s decided that mastering subtraction is a secondary skill. Cue the Andrews Sisters. Bud and Lou play gas station attendants named Chuck and Freddie who dream of a high class occupation at a nightclub named Chez Glamour, but when they screw that up they’re back at the gas station and accidentally wind up in the backseat of a gangster during a high speed car chase/shootout. The gangster gets it, see? And due to their proximity to the deceased at his time of demise, they inherit his entire estate — a creepy old mansion. But where’s the dough? Cue the Andrews Sisters again. 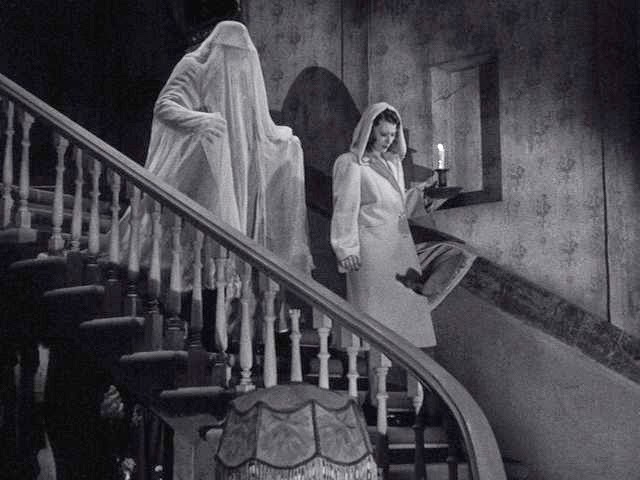 Hold That Ghost clearly provided the blueprint for the Abbott and Costello Meet… movies that would follow a few years later. The film borrows its narrative from the early “old dark house” movies such as The Cat and the Canary (1927). Movies that sold a “haunted” old house but explained away all the scary bits by films’ end. Producers believed that movie audiences would find “real” haunts a little too unsettling. Thus, Scooby Doo was born. Safe scares for impressionable moviewatchers. In 1932 The Old Dark House simultaneously created and broke the mold for the genre, parodying the genre from within. Thus comedy and “the old dark house” became natural companions; The Old Dark House left no legitimate avenue for sincere advancement of the genre. Once viewers became accustomed to being frightened by the prospect of real ghosts, horror movies had to provide that payoff. Comedies, however, could manipulate the form and wink at the audience. Hold That Ghost winks, nods and holds the flashlight up to the “spooks.” We must always believe that Lou is legitimately frightened and that Bud is dismissive and skeptical. It’s all good clean fun, except for the dead bodies. Everyone Expects Abbott and Costello to be frightened and skeptical, relatively speaking. 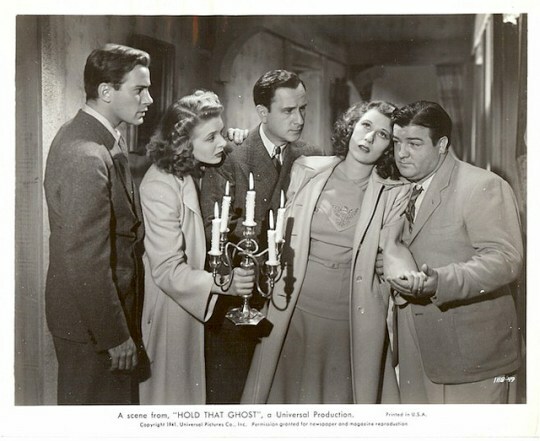 I assume that most viewers in 2018 view the Abbott and Costello Meet… movies because of the monster pedigree, but Hold That Ghost offers the most natural utility for their schtick. The latter movies become more finely turned, variations on the same theme (Abbott and Costello Meet the Invisible Man excepted). Hold That Ghost doesn’t feel like a Universal brand (and no, obviously, Abbott and Costello Meet Frankenstein wasn’t either because it was a surprise success and spawned four more monster mashups). It feels like the comedians have been tasked with an improvisational bit about a gangster’s money and a haunted house and they’re navigating the pratfalls of the relatively new horror comedy genre. 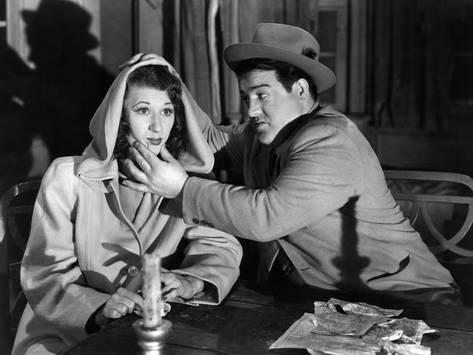 Joan Davis with Lou Costello performing a delightful routine with an uncooperative candle. The ambling rawness of the premise along with the cast of assorted supporting characters lends Hold That Ghost an off-the-cuff freshness that dwindled as the parade of monsters rolled on in the 1940’s. Joan Davis proves to be a particularly wonderful comedic partner for Lou, providing something more than the usual assortment of sarcasm and rebuffs. 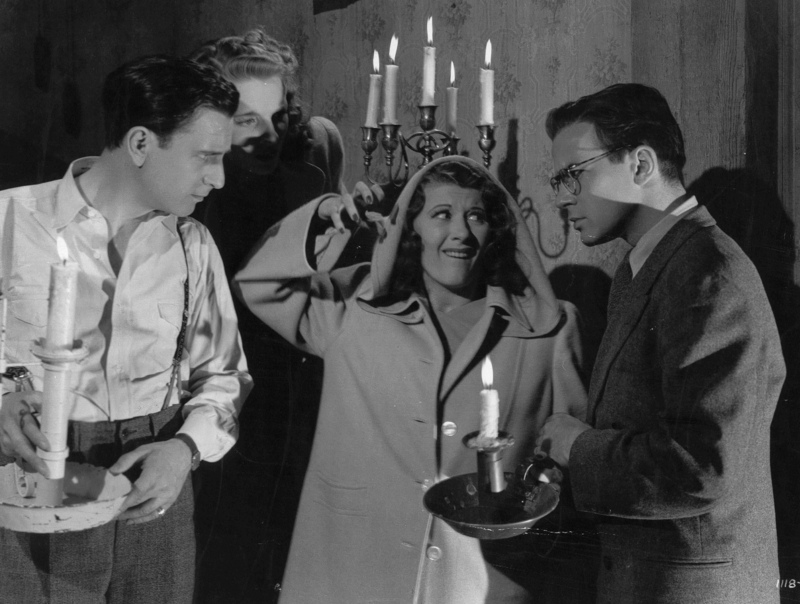 If Hold That Ghost surpasses other Bud and Lou horror comedies, it’s because the entire cast chips in to perform some of the heavy comedic lifting rather than leaving frantic Lou to flail all by his lonesome. The wonderful and potentially underappreciated Evelyn Ankers also deserves a mention. As a 1940’s cog in the Universal machine, Ankers found herself in the thankless shrieking damsel roles of the 2nd Universal horror cycle. She perhaps owes that stint to her role in Hold That Ghost — the first of those performances. In this very same year she’d make her big movie monster debut alongside Lon Chaney, Jr. in The Wolf Man (1941), followed closely by The Ghost of Frankenstein (1942), Son of Dracula (1943), Captive Wild Woman (1943), and The Invisible Man’s Revenge (1943) among many others. As a steady anchor for Universal’s monstrous, she provided more than just a pretty face. How Does One Hold That Ghost Anyway? The original narrative had the displaced gang members trying to scare Chuck and Ferdie out of the inherited tavern when another rival gang shows up to fight over the hidden loot (which turns out to be counterfeit. Production was put on hold after Buck Privates became such a smash success and Universal rushed a follow up In the Navy into theaters. 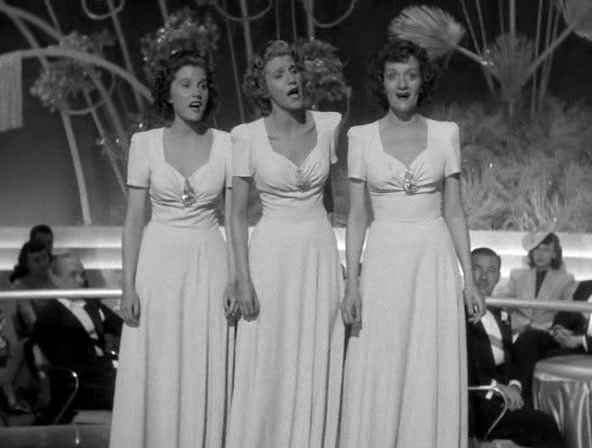 For the capper, Universal brought back the Andrews Sisters to open and close the film because they’d appeared in both of the prior Abbott and Costello service comedies. Because how else would you bookend an old dark house horror comedy but with bandleader Ted Lewis and the Andrews Sisters — clearly the keys to all of these productions. Even contemporaneous critics called out the superfluous use of bookending musical numbers to pad the run time. 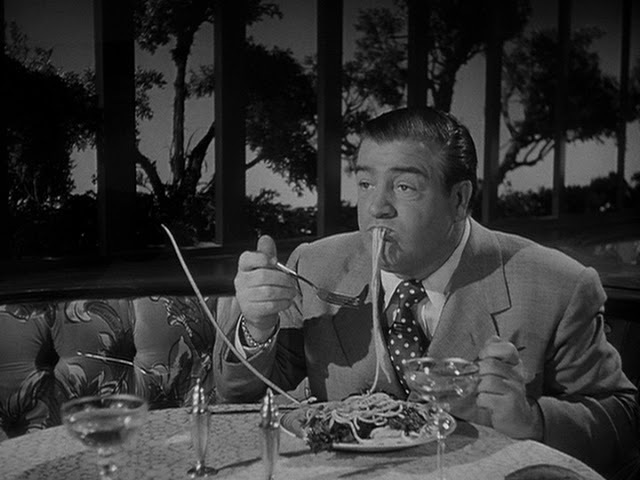 I found it useful to revisit Hold That Ghost immediately after a tour through the latter Abbott and Costello Meet… series because it placed the films in a different context. It’s easy to forget that the formula began in 1941 with Hold That Ghost and didn’t magically come together seven years later for a hair-brained scheme to revive Universal’s slagging former moneymakers. It’s no great surprise that Hold That Ghost feels fresher than the latter iterations of the formula. Just because it doesn’t have the monster branding doesn’t make it less worthwhile. I’d wager that if Hold That Ghost were called instead “Abbott and Costello Meet the Spooks” it would be probably considered the best of the lot and remain one of the duo’s best known films. Though I do wish the film didn’t have seven minutes of the Andrews Sisters. Did someone say the Andrews Sisters? Once again let’s revisit the availability of the Abbott and Costello films for the uninitiated and the cheap seats. Universal has given you dozens of opportunities to own the branded Meet the Monster films on Blu-ray and DVD through the The Frankenstein Complete Legacy Collection, The Dracula Complete Legacy Collection and The Wolf Man Complete Legacy Collection. 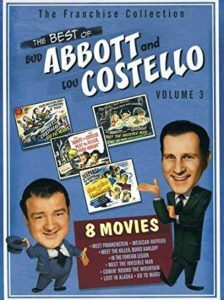 If you’d like a complete collection of the Abbott and Costello Meet… movies, that’s more difficult. There’s the brilliant (but OOP) 28-film Abbott and Costello: The Complete Universal Pictures Collection steamer trunk that solves all problems. The Meet the Monsters DVD set contains Meet Dr. Jekyll and Mr Hyde (which is currently not available on Blu-ray), but is missing Abbott & Costello Meet the Killer, Boris Karloff because… I have no idea. In order to get that one, you’d need to purchase The Best of Abbott & Costello, Vol. 3 DVD. Got that? 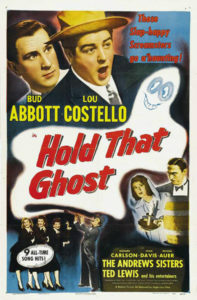 Now, Hold That Ghost is available on The Best of Abbott & Costello Vol. 1 DVD set alongside the aforementioned Buck Privates and In the Navy. Now you’re set. Go forth and watched Bud and Lou. James David Patrick is a writer. He’s written just about everything at some point or another. Add this nonsense to the list. Follow his blog at www.thirtyhertzrumble.com and find him on Twitter, Instagram, and Facebook. 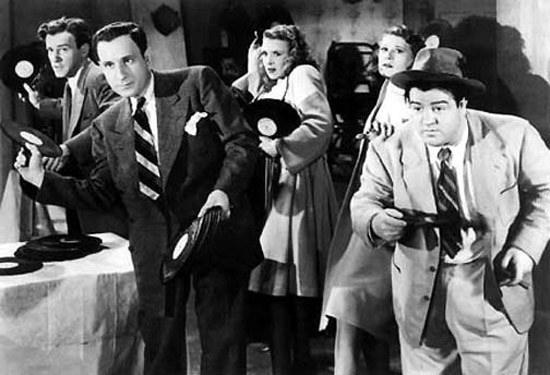 It’s been a loooooong time since I last revisited the Abbott and Costello Meet… movies. I’ll try to remove my nostalgia goggles. Abbott and Costello Meet Frankenstein proved to be a hit with my daughters so we carried on. Abbott and Costello Meet The Invisible Man became an even bigger hit. (They *loved* the disappearing effects.) Because Abbott and Costello Meet Dr. Jekyll and Mr Hyde isn’t on Blu-ray and I didn’t feel like fishing for the DVD in the Complete Abbott and Costello steamer trunk, we next hit up Abbott and Costello Meet the Invisible Man, available on The Mummy Complete Legacy Blu-ray from Universal. A famous archaeologist is murdered. Abbott and Costello become the custodians of a valuable medallion. When the try to sell the thing for some quick cash, everybody in Egypt, plus the Mummy starts coming for them. Maybe. It’s hard to tell if its a Mummy because he’s in a jumper that only looks like bandages and doesn’t show up for a long, long time. Out of all the Universal monsters, I consider the Mummy the most consistently entertaining. The series quickly devolves after the brilliant first entry — Karl Freund’s The Mummy (1932), but even the worst of the sequels (I’m looking at you The Mummy’s Tomb from 1942) maintain a reasonable sense of the original’s mystical paranoia and creeping dread. There’s comfort in predictability. The catch here is that the mummy has to actually appear in your movie and, you know, occasionally attack people. 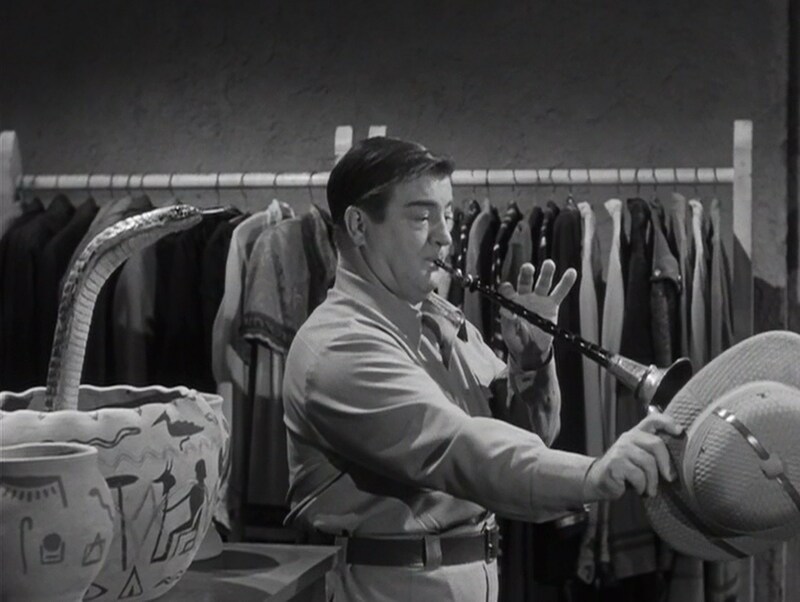 In Abbott and Costello Meet the Mummy, you see some Fez hats, Casablanca-looking bars, bazaars, snake charming, and grandfathers of the Brotherhood of the Cruciform Sword from Indiana Jones and the Last Crusade. None of which really do any attacking. What you rarely see are mummies. 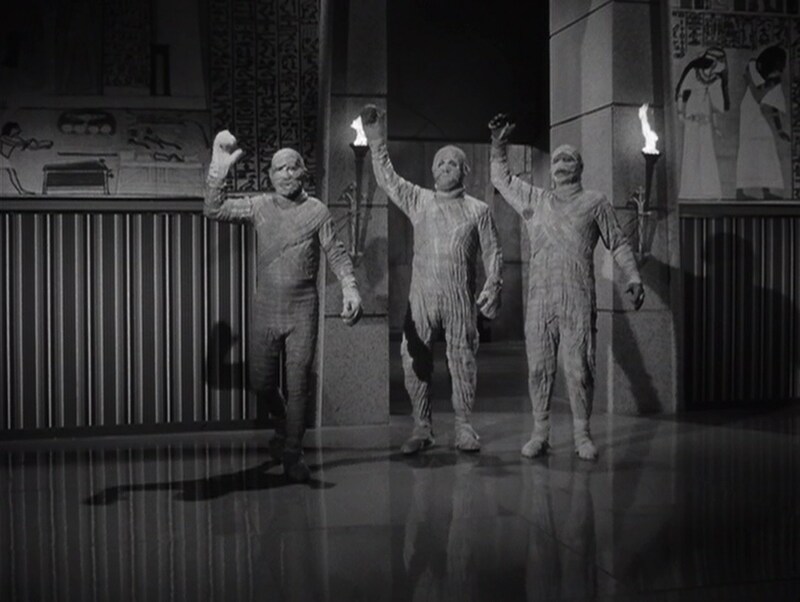 At least not until the last fifteen minutes when you get three of them, including Bud Abbott dressed up as one of two bumbling decoy mummies. 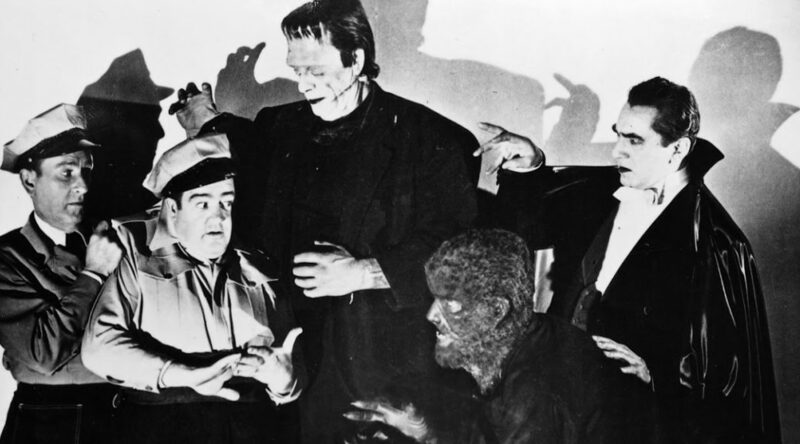 In both Abbott and Costello Meet Frankenstein and Meet the Invisible Man, the films maintained the basic tenants of their respective horror cycles. Meet the Mummy meanwhile feels like a standard mistaken identity caper. 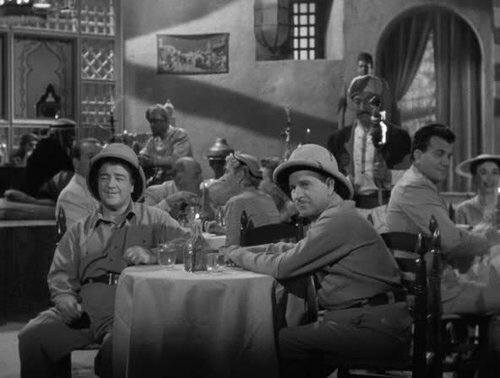 It could have been called Abbott and Costello in North Africa with a Chance of Mummy. The lack of an effective horror backdrop for Abbott and Costello means that they’re comedy has to be the centerpiece, but they’re just not given scenarios that seem to benefit the characters. Or their established personalities (except rigid Abbott as a mummy). Or whomever they’re actually playing. In this entry, they play Pete Patterson and Freddie Franklin, but intermittently refer to each other as Bud and Lou and Abbott and Costello. The strongest example of this failure takes place during the madcap finale — which becomes so complicated and labyrinthine that it lost me. That’s right. The narrative machinations of an Abbott and Costello movie left be confounded. The last time I would have watched this film I’d have let it wash over me because Abbott and Costello. On this occasion, I became preoccupied with my inability to follow how or why this person was going after this person and why the mummy cared and holy hell that’s exhausting because why did I really care in the first place? I don’t know. THIRD BASE. 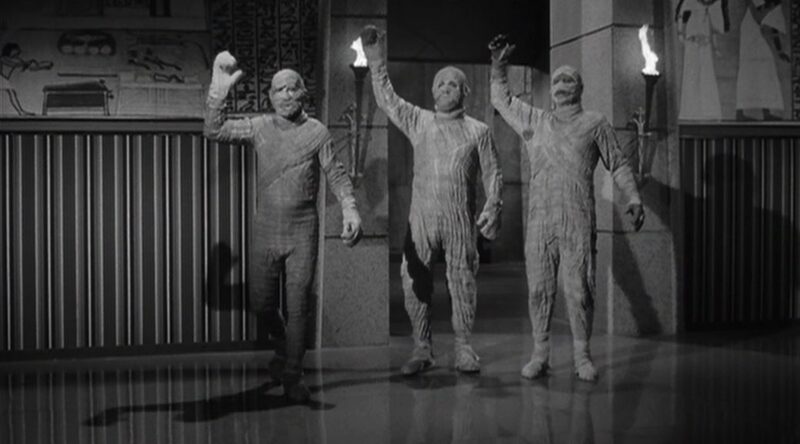 The routine drags on and on as the movie introduces two dummy mummies to create a kind of Jack Benny in a pyramid scheme. (Pyramid scheme! I crack myself the &%#$ up.) So of course, Lou’s going to commandeer the real mummy that he thinks is Bud. That’s all I need out of this gag. Alas, we get that and a shroud of diminishing returns. 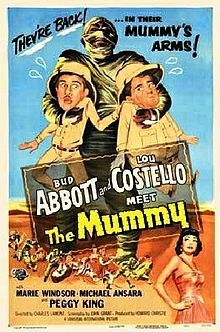 I recommend Abbott and Costello Meet the Mummy not because it’s essential comedy horror but because it’s a career touchstone for the duo Abbott and Costello. 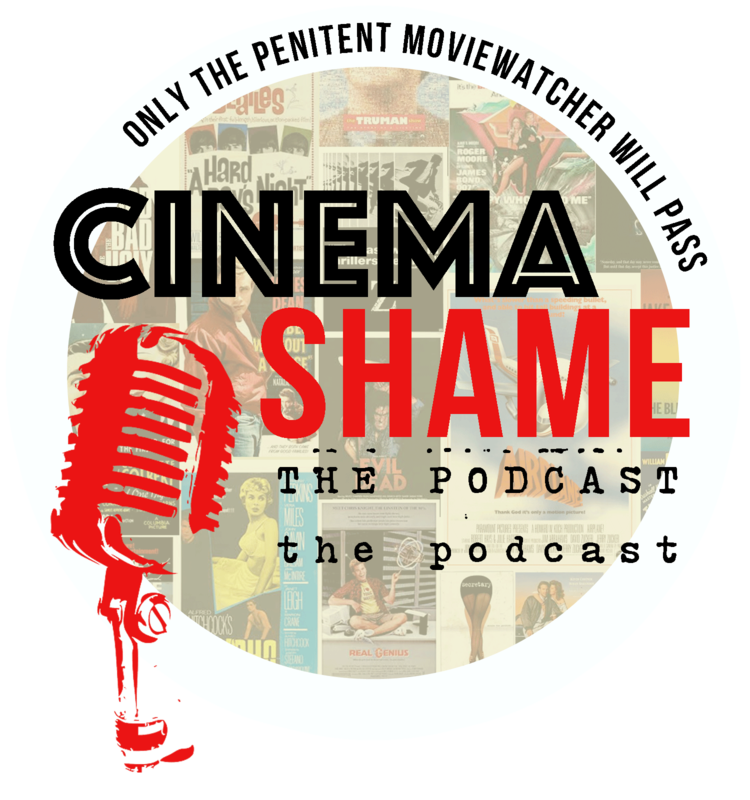 It’s the last of their horror comedies, their last film with Universal (the compilation film The World of Abbott and Costello, excepted) and their second to last film overall. They made one final movie, Dance With Me, Henry, for United Artists in 1956. Abbott and Costello Meets the Mummy also represents the final stop for the Universal Mummy monster until Stephen Sommers’ The Mummy (1999). 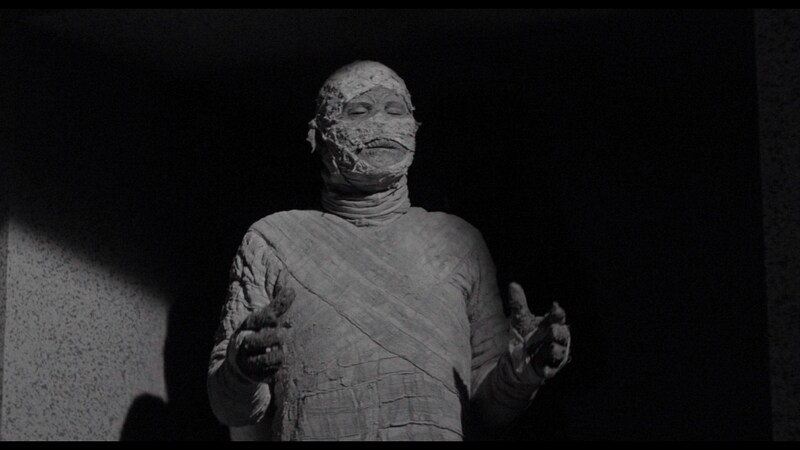 The undead Egyptian has always been relegated to the second tier of Universal monsters. Some of that has to do with the limited scope of the mythology. Most every Mummy movie derives from the narrative created for The Mummy in 1932. Hammer Films expanded the monster slightly with their series of films between 1959 and 1971 based on the 1930’s-era Universals. Despite the limitations, movies featuring the monster prove to be effective chillers, relying heavily upon mood and atmosphere rather than narrative. 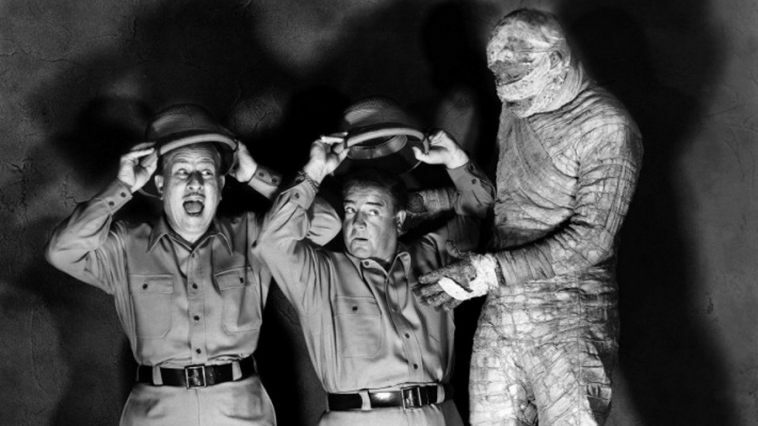 Abbott and Costello Meet the Mummy offers neither in equal measure — but it does offer Bud Abbott and Lou Costello and a bittersweet send off to their series of horror comedies. Universal has given you plenty of Abbott and Costello Meet the Invisible Man options. There’s the standalone release. It’s also included on The Mummy Complete Legacy Collection. 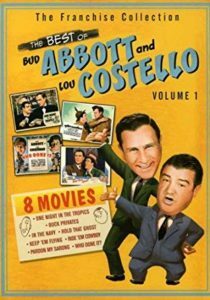 If you’d like a complete collection of the Abbott and Costello Meet… movies, that’s more difficult. There’s the brilliant (but OOP) 28-film Abbott and Costello: The Complete Universal Pictures Collection steamer trunk. The Meet the Monsters DVD set contains Meet Dr. Jekyll and Mr Hyde (which is currently not available on Blu-ray), but is missing Abbott & Costello Meet the Killer, Boris Karloff because… I have no idea. In order to get that one, you’d need to purchase The Best of Abbott & Costello, Vol. 3 DVD. Got that? Abbott and Costello Meet Frankenstein proved to be a hit with my daughters so we carried on. 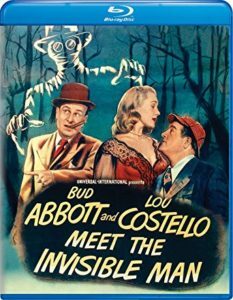 I’d recently watched …Meet the Killer, Boris Karloff so the next logical stop was 1951’s Abbott and Costello Meet the Invisible Man, newly available on The Invisible Man Complete Legacy Blu-ray from Universal. 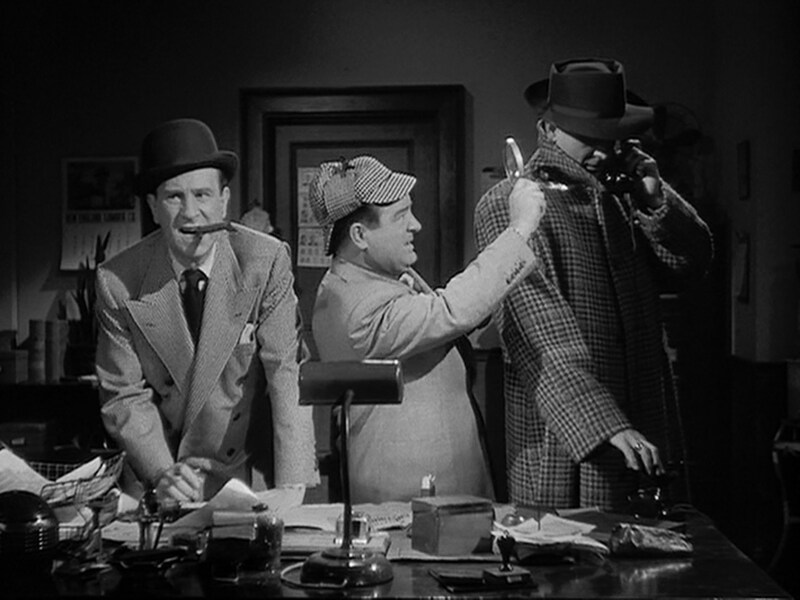 Abbott and Costello Meet the Invisible Man? How would they know? 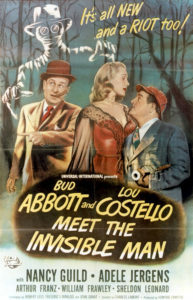 Universal preceded Abbott and Costello Meet the Invisible Man with five invisible human films between 1933 and 1944. While all existed under the Universal horror umbrella, the Invisible Man films straddled a number of widely varied genres. The Invisible Man (1933) and The Invisible Man’s Revenge (1944) are more or less nihilistic revenge films. The Invisible Man Returns (1940) skews crime-thriller, and Invisible Agent (1942), as the title suggests, takes the form of a WWII spy film. While all of the Invisible Man films include humor, The Invisible Woman (1940) plays the character for straight comedy. This of course brings us to Abbott and Costello Meet the Invisible Man in 1951 — a full seven years after the last of the Invisible Man series. 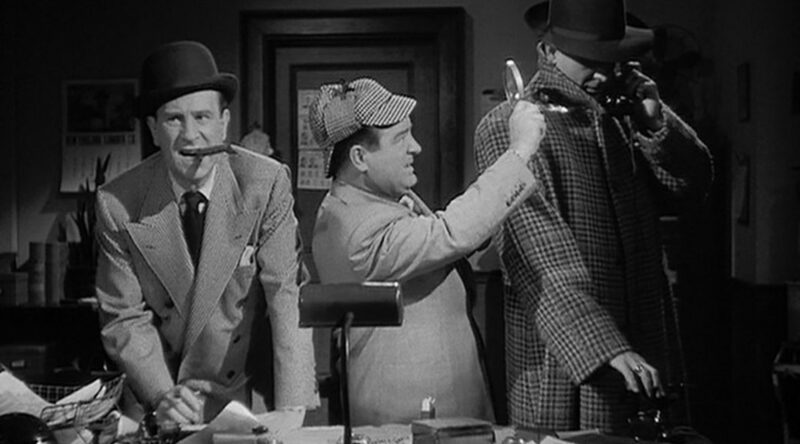 Of all the Abbott and Costello Meet… films, this feels the least removed from the Universal series proper. Lou’s stuttering and stammering at the invisible man’s antics and Bud’s skepticism and constant attempts to capitalize on their predicament feel like natural tangents, whereas their injection into the House of Frankenstein/House of Dracula universe felt a little more clumsy. 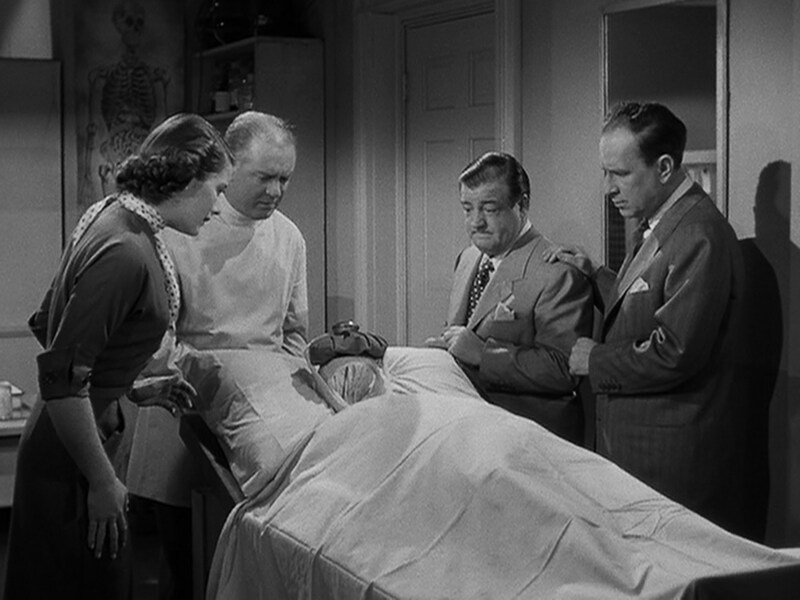 This goes against all commonly held logic, but upon this rewatch I enjoyed Abbott and Costello Meet the Invisible Man more than Meet Frankenstein. The running gags — especially Costello’s feud with the psychiatrist — survive extreme repetition, and the central mystery concerning the bumbling hunt for the murderer feels like a fully-baked narrative. Sure, it wanders over into a sports movie comedy for a spell while Lou fights a professional boxer with the help of the invisible Tommy Nelson. Lou gets every opportunity to display his gifts as a physical comedian. Of course, a conversation about the Invisible Man films wouldn’t be complete without at least a mention of the wizards that created the wonderful visual effects. Even now audiences can see how these effects were indeed “special” — at the time of the Invisible Man’s release they must have blown minds. John P. Fulton, John J. Mescall and Frank D. Williams achieved the illusion of disappearing through the layering of two images — a matte process. They combined the principle photography with Claude Rains in a black suit photographed against a black velvet background. For Abbott and Costello Meet the Invisible Man, Universal used Stanley Horsely, a visual effects technician who worked with John P. Fulton on all but the original Invisible Man. Unfortunately the matte work in Abbott and Costello feels, at times, rather cheaply done compared to the earlier entries. During many scenes, the matte lines were present as was the hazy form of actor Arthur Franz. That’s not to say however that the wonder of the visual trickery has disappeared (see what I did there?) — just that it’s not as seamless and efficient. 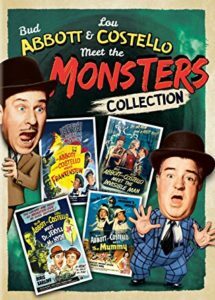 Due to some nice series callbacks (Claude Rains is featured in a portrait as the creator of the formula) and more or less easy transition into the series, Abbott and Costello make the most of this monster mashup. Most anyone would tell you that the returns on this unholy pairing of the famous comedy duo and the Universal monsters dwindled with each subsequent entry. I’d like to disagree. The biggest ding against this movie is that it doesn’t carry over thre Vincent Price Invisible Man tease from the end of Meet Frankenstein. 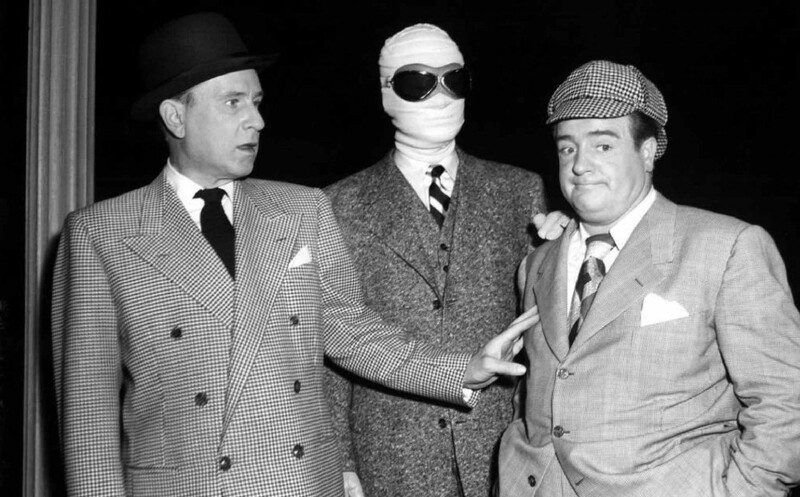 Abbott and Costello Meets the Invisible Man maintains the fun and in some ways improves upon the slapdash pacing and narrative of Abbott and Costello Meet Frankenstein. Don’t @ me. I’ve got another Abbott & Costello Meet movie to cover and I won’t be quite as friendly. Universal has given you plenty of Abbott and Costello Meet the Invisible Man options. There’s the standalone release — which also included an HD code (bonus). It’s also included on The Invisible Man Complete Legacy Collection. The second Universal horror wave had pretty much run its course by the end of the 1940’s — which made finding a horror film from 1948 a little trickier than I anticipated. Oddly enough I had the same problem with 1938 (because it fell between Universal horror cycles, but we’ll get back to that when I discuss The Black Doll. Bumbling freight handlers deliver boxes containing priceless artifacts to a wax museum only to discover the boxes contained Dracula and Frankenstein. Then the “cargo” goes missing and they’re going to need the Wolf Man to help them sort it all out. Obviously. Abbott and Costello Meet Frankenstein? Just Frankenstein? At the end of the 1940’s Frankenstein remained Universal’s most bankable movie monster. After 1939’s Son of Frankenstein (the last with Karloff as the Monster), the series devolved into B-movie oblivion. 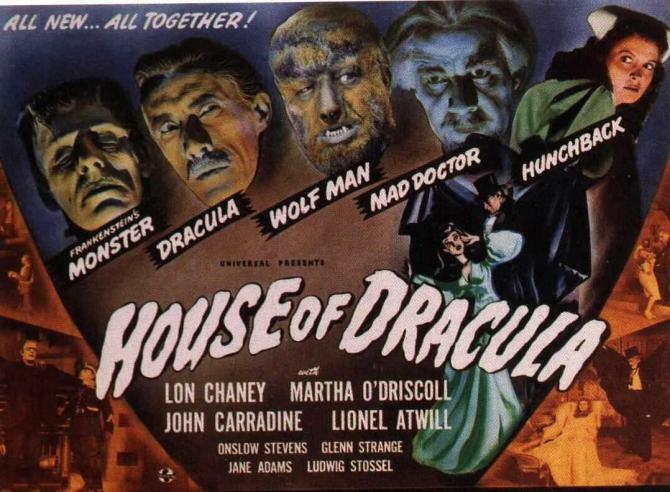 Universal ultimately turned to monster crossovers to breathe new life into the sagging franchise with Frankenstein Meets the Wolf Man (1943), followed closely by House of Frankenstein (1944) and House of Dracula (1945). Meanwhile, over at MGM, the comedy team of Bud Abbott and Lou Costello had been experiencing their own professional difficulties. In 1943, Costello came down with rheumatic fever after a tour of U.S. army bases and six months later his infant son died when he accidentally drowned in the family swimming pool. Shortly after Costello returned from his sabbatical, a rift developed between the two when Abbott hired a domestic servant who had been fired by Costello. The duo only spoke when performing and only appeared in films as separate characters rather than as a team. It wasn’t until 1947 when Abbott and Costello reunited properly for Buck Privates Come Home (1947). In 1948, they signed a new contract with Universal. 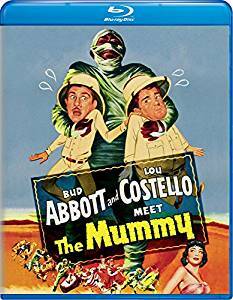 With their careers lagging and Universal’s monster cycle running out of box office mojo, the studio crossovered their crossover and put Abbott and Costello in a monster movie. Frankenstein, Dracula and The Wolf Man — the big three monsters from the “House of” menagerie all feature prominently. Bela Lugosi reprises his role as Dracula for the first time since Browning’s 1931 film and Lon Chaney, Jr. again plays the Wolf Man. Glenn Strange lumbers around as the monster in his third feature. 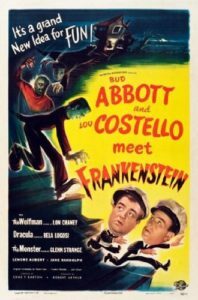 Though the film boasts an ambling structure more reflective of the Abbott and Costello vignette-style of filmmaking, Abbott and Costello Meet Frankenstein also contains a healthy stable of Universal’s well-established horror tropes. The spooky castle, mad scientist shenanigans, full-moon transformations. No monster legacies were harmed in the making of this movie. Abbott and Costello Meets Frankenstein has become such a formative early horror-comedy, essential in equal measure to the Universal horror canon and Abbott and Costello’s lasting legacy. It’s therefore easy to overlook the film’s remarkable, rambling narrative. 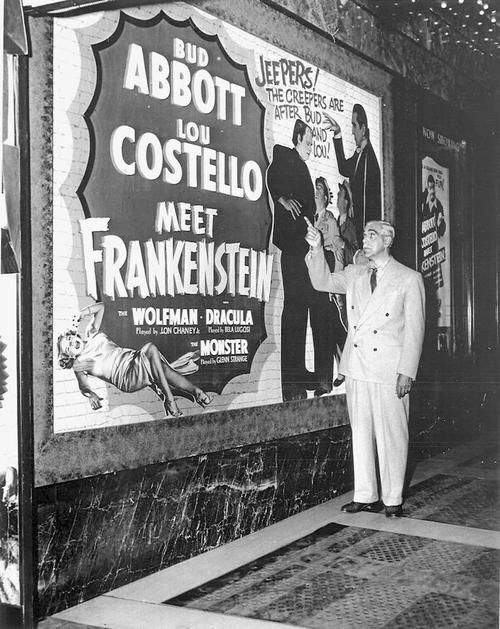 Most remember the classic scenes that open the film as Costello attempts to convey his monster sightings to a skeptical Abbott in the wax museum. Unless you’d just watched the film, however, I’m willing to bet you couldn’t say how they wind up at the “House of Dracula” during the final act. I just watched it and I’m hazy on the details. The answer is, of course, it doesn’t really matter. 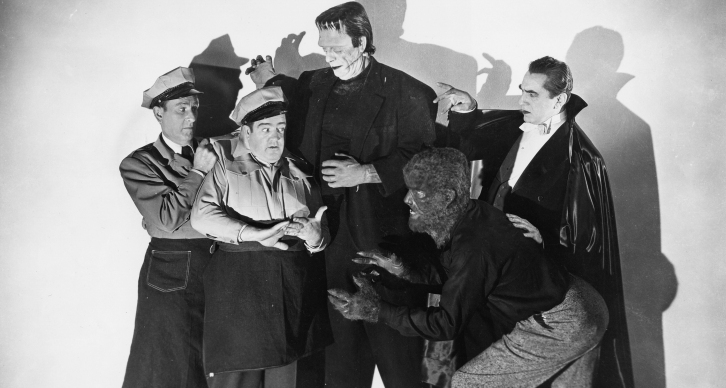 The joy of the Abbott and Costello Meet… movies derive from the absurdist vignettes that somehow shoehorn the comedy duo into situations with the Frankenstein monster, Dracula, the Wolf Man and eventually Boris Karloff, the Invisible Man and the Mummy. I watched most every Universal horror movie over the course of about two Halloweens, circa age 8 or 9. AMC; back when it was a no-commercial, all movie channel like TCM; showed all of these movies. I diligently recorded each and every one onto SLP VHS tapes. And despite my sincere love for some and nostalgic devotion to others, Abbott and Costello Meet Frankenstein has always held the greatest power to immediately revive the sense of discovery associated with those horror movie marathons. Of course, you’ll always have those naysayers who’ll complain that Abbott and Costello Meets Frankenstein is just another Abbott and Costello vehicle and that it has no place in the legitimate Universal horror cycle and blah blah blahbity blah. Abbott and Costello Meets Frankenstein is, if nothing else, reverent to the monsters themselves. The stories that had come before boasted very loose or nonexistent logical continuity and Abbot and Costello’s outing does nothing to tarnish the previously established universe where Dracula/Frankenstein/The Wolf Man all occupy the same time and space. In many ways, Abbott and Costello Meets Frankenstein provides a *more* satisfying conclusion to that story. During this viewing I started to pay more attention to the connective tissue. 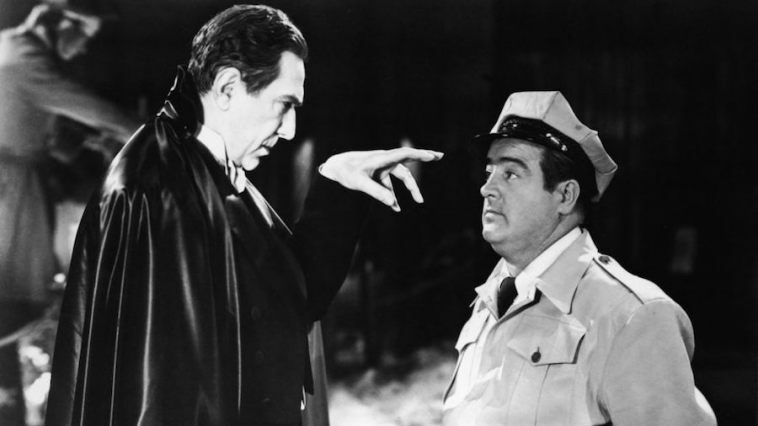 How Abbott and Costello “fit” into Universal horror. Narratively, Bud Abbott wasn’t wrong about his daughter being capable of writing a better script, but a script could never truly reflect what works about the film. Personality and novelty. You can script the relationship between Abbott and Costello any more than you can dictate the emotional attachment to Bela Lugosi or Lon Chaney, Jr. in their monster makeup. These things just are, and neither time nor tide can erode their unlikely place in cinema history. 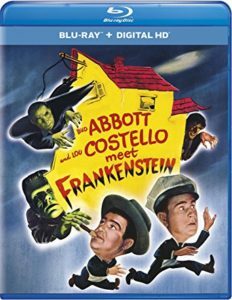 Universal has given you dozens of opportunities to own Abbott and Costello Meet Frankenstein on Blu-ray and DVD. There’s the standalone release — which also included an HD code (bonus). It’s also included on The Frankenstein Complete Legacy Collection, The Dracula Complete Legacy Collection and The Wolf Man Complete Legacy Collection. James David Patrick is a writer. He’s written just about everything at some point or another. Add Deep Rising to that list. Follow his blog at www.thirtyhertzrumble.com and find him on Twitter, Instagram, and Facebook.